We've been hitting really high temperatures here in Hong Kong this Summer, and I won't lie: I am definitely suffering. 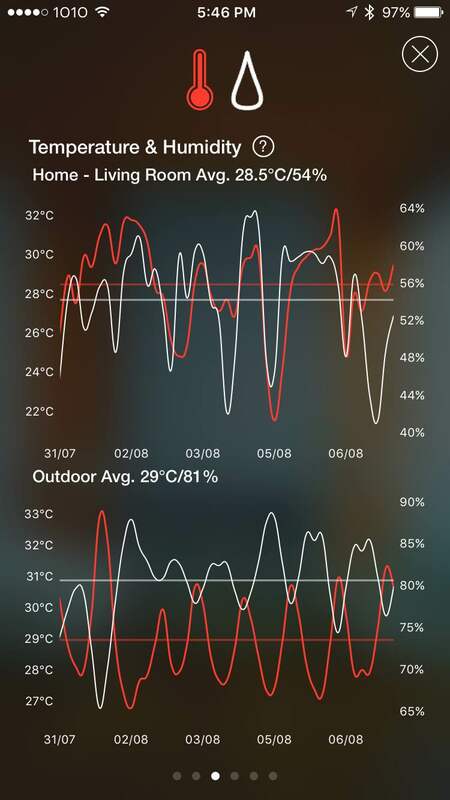 Enter the Ambi Climate: a slick new device that allows me to monitor and adjust the temperature in my home remotely via an app that is available on both iPhones and Androids (well, technically it's my boyfriend's home, because my apartment sadly uses the old school, window type aircons that don't even have remote controls!). 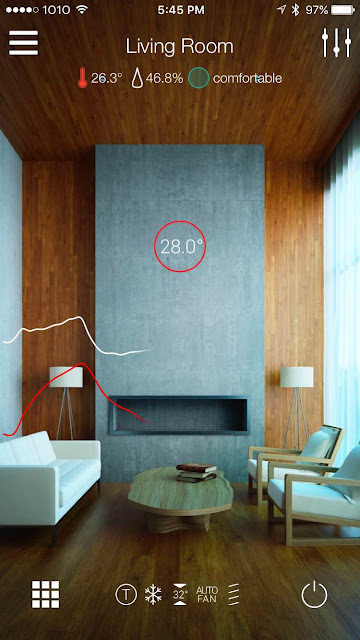 The device's app learns what temperature you prefer in your apartment through your feedback, and by measuring the temperature, humidity and sunlight in your home, it is able to control the aircon to adjust the temperature to your comfort level. It allows you to turn your aircon on and off remotely, change the settings, and set timers - all remotely from your smartphone. 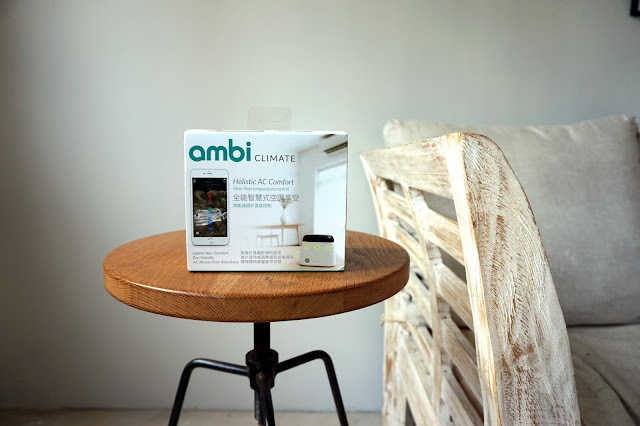 The Ambi Climate just requires you to simply install the app on your smart phone and sync the device to your aircon, place the device within sight of your aircon unit (because it works using an infrared signal), plug it into the power socket, and connect it to your home wifi - and you're ready to roll! On top of this, the design of the device itself is clean and minimalist, so it will fit in nicely with every apartment. In terms of compatibility, the Ambi Climate generally works with any aircon that has a remote control. 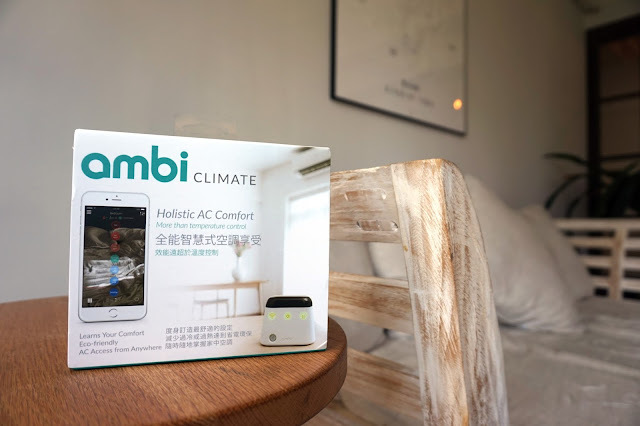 We discovered that our aircon model was not listed as an option on the app when we attempted to sync it - but the Ambi Climate support team were outstanding, responding to us within 24 hours and giving us three other aircon model types to test (one of which worked). We were pretty blown away with their customer service, so if you're having any difficulty, then don't hesitate to reach out to them! The app is very user friendly: after initially setting up an account, I was able to get started straight away, browsing the different modes on offer. 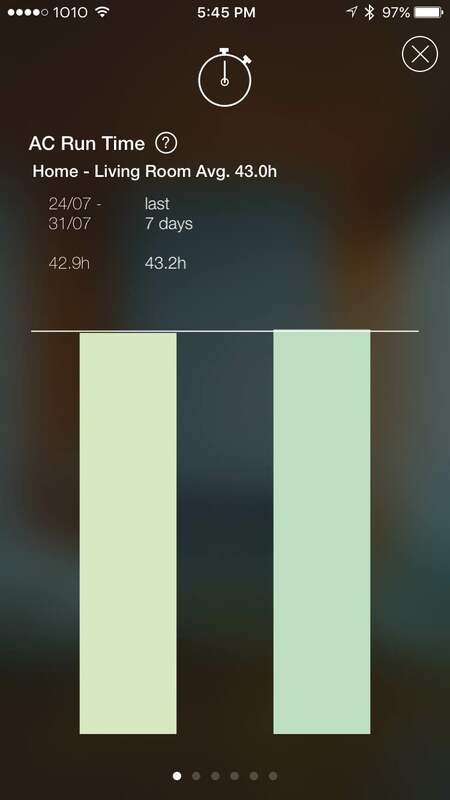 Comfort mode gives the Ambi Climate free reign to control my aircon and adjust it to my personalised comfort level. This mode requires one week of you giving it feedback (i.e. too hot/too cold) before it gets a full picture of what you like and dislike, which is a very short time in the bigger scheme of things (I mean, usually it takes a person years to figure out what their boyfriend/girlfriend likes and dislikes!). 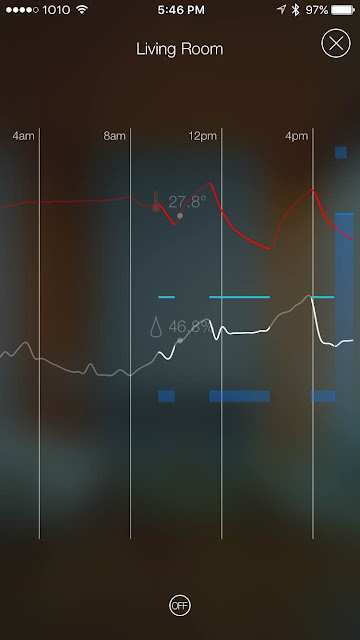 The red line shows the temperature level and the white line shows humidity level in our living room. Other modes include temperature mode, which chooses the best aircon setting to maintain the target temperature that you have selected (very useful for saving on energy consumption so the aircon isn't constantly blasting away even after the apartment has cooled down); and away mode, which only turns your aircon on when it is needed to maintain the climate thresholds that you have inputted (very useful for when you are on vacation but want to reduce the humidity levels in your apartment on occasion). Finally, manual mode is essentially the same as your aircon remote control, allowing you to adjust the temperature manually. On top of all this, the app tracks your aircon usage, giving you a useful graph on how long you have been running the aircon over the last week (so you can have an idea of what your next electricity bill is going to look like!) and what the temperature and humidity has been, both inside the apartment and outside. One of the best things, in my opinion, about the Ambi Climate is that it gives you serious control over your aircon. My boyfriend and I love being able to turn the aircon on about 5 minutes before we arrive home, so that we come back to a cool and comfortable apartment. On top of this, you can always monitor the temperature and humidity in the apartment remotely, so if my dog is sitting at home and I notice it is 38 degrees (yes, it happened once or twice! ), I can turn on the aircon for her from my office desk. Just remember that you must ensure that the device is within sight (and within 2-4 metres) of your aircon. One time, something fell down in front of the device and this blocked the signal - so be sure you put it somewhere where there will be no chance of interference. One other tip: we discovered was that our aircon (a Hitachi) is designed to beep whenever a setting is changed. This means that if the Ambi Climate decides to adjust the settings (as it would in comfort and temperature mode), then your aircon has a chance of beeping every time it does this (including throughout the night). In this case, make sure you switch to manual mode - the aircon will remain at whatever temperature you set it at, without the beeping. Note that this is simply an issue with our aircon: if your aircon doesn't beep when settings are changed, you won't have any problems with this. In summary, I highly recommend the Ambi Climate for its ability to allow you to remotely control your aircon when you're out of the apartment. The comfort setting is exciting - having a device that actually learns what your preferences are is BIG news, in my books. While the device does take time to get to know you (we found that for the first week, it would not drop the temperature down to our desired level as quickly as we liked), it gets better very quickly as it learns how cold we want our apartment (in our case, like a freezer!). While there may be some brand-new, high tech aircons that offer long-distance remote control, these are often expensive and also require extra costs to install in Hong Kong (as the installers insist on having bamboo platforms set up outside your apartment - which cost a fortune!). 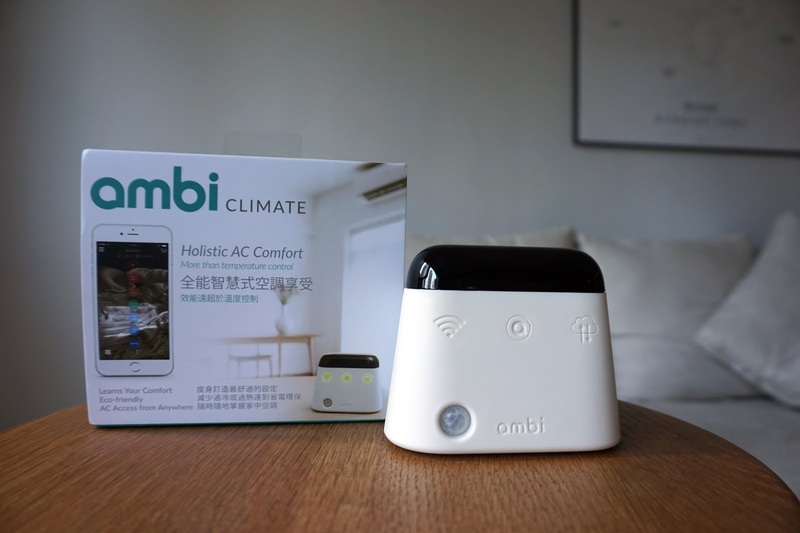 As a result, the Ambi Climate is an excellent, cost-effective alternative. 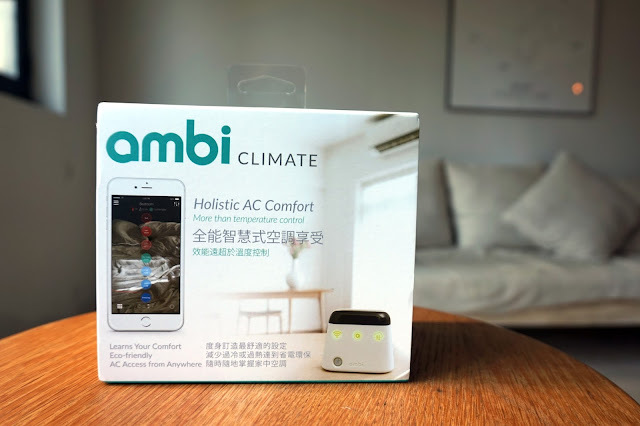 The Ambi Climate can be purchased for US$179 online and is also available at 20 retail locations in Hong Kong, including Dream Team, DG Lifestyle Store, Life Digital and AV Life. Ambi Labs will also be exhibiting at the Hong Kong Computer & Communications Festival from 19 – 22 August 2016. A preview of the second edition Ambi Climate, a premium redesign due out later this year, is currently on display at Lane Crawford IFC as part of their showcase "Tech brands that improve the way we live." PS. This review was sponsored - but that has no impact on our journalistic integrity. To find out more, read our Disclaimer Alert policy here.